#20, "KALPAVRUKSHA", 1st Floor, 1st Cross, 2nd Main, KEB Layout, BTM 1st Stage, Bengaluru - 560076, Karnataka, India. 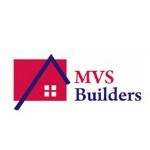 MVS builders is a team of skilled management who mainly believe in the quality service within the time limit.Wet have got very good track record on customer satisfaction. We believe in customers dream and making them true. The company's principle and strength remains in delivering exceptional quality structures and in timely completion of the projects, there by achieving the complete satisfaction of the customers. The company is dedicated to elevate the quality of the layouts by choosing the best first quality materials and using the best skilled labors that are supervised by technically strong and professionally qualified and trained site engineers. This dedicated, experienced workforce and supervisory team in unison with a good administered office staff provide an excellent service and gained the confidence, satisfaction and goodwill of all the customers. Also, by our pleasing manners, friendly approach and flexibility towards the customers, we gained not only happy customers but also won their hearts by friendship.